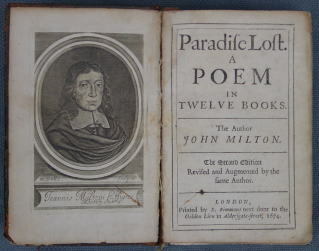 0090 PARADISE LOST: A Poem. In Twelve Books. 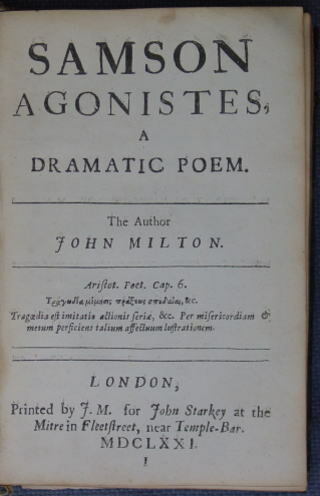 Revised and augmented by the same Author. London: S. Simmons. 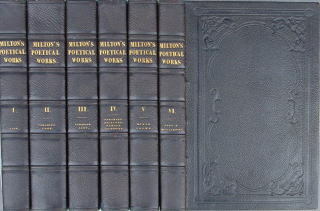 Second edition, with a engraved portrait frontispiece by W. Dolle. 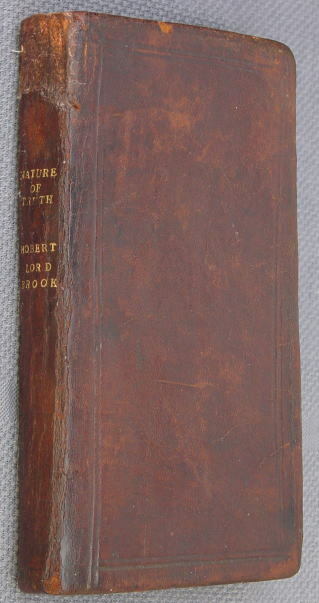 point; misprint "loah" on page 67, line 2, licensed leaf, july 2, 1670.
lettered in gilt on the spine,xlviii+384pp,8vo,a clean copy. 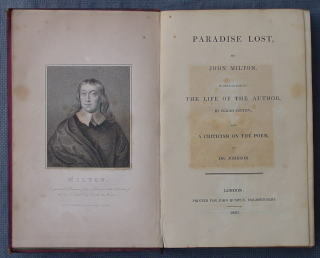 0093 THE POETICAL WORKS OF JOHN MILTON. 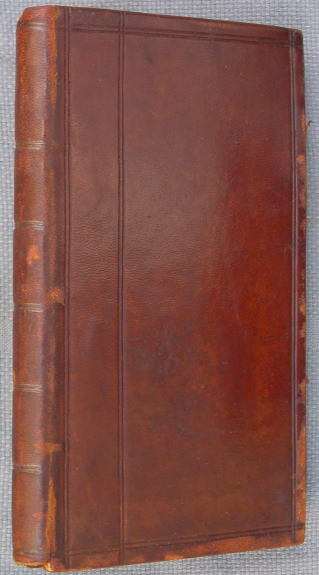 State-Paper Office, now First Published. By the Rev. H. J. Todd. 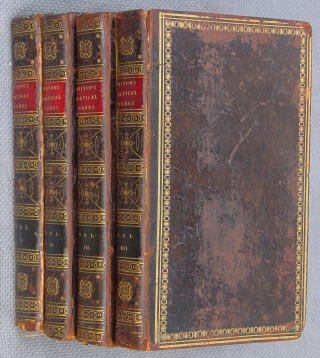 morocco,gilt lettered on spines,all edges gilt,8vo,a good set. 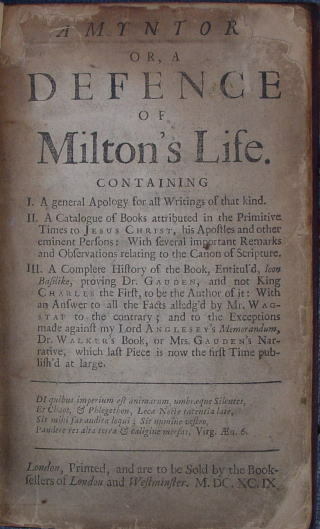 TAMYNTOR, or, A Defence of Milton's Life. I. A General Apology for all Writings of that kind. Jesus Christ, his Apostles and ather eminent persons. III. 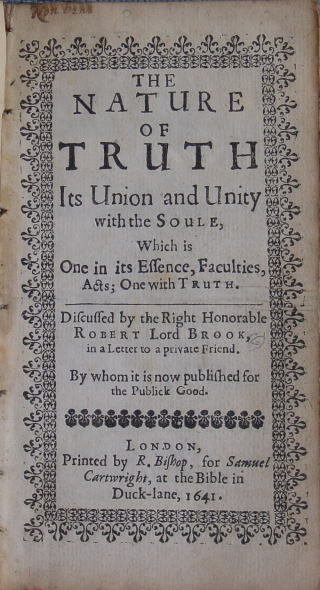 A Complete History of the Book. London & Westminster. 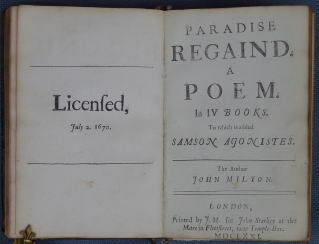 First edition,contemporaly, full brown calf,iv+172pp,8vo.